You have come to the right place if you are looking for Pediatric jobs in Florida! Doctor’s Choice Placement – Your #1 online resource for Pediatric Physician Recruitment! Pediatric doctors or pediatricians are physicians who specialize in the mental, emotional, and physical care of infants, children, adolescents, and young adults. Pediatricians educate, diagnose, and treat patients in an effort to reduce many common issues found with younger patients. One such issues is infant and child mortality. Pediatricians will evaluate patients and educate caregivers on the proper care of infants and children so that the child remains safe and healthy. Pediatricians will also teach caregivers and patients about how to make healthy life choices like what foods to eat and how much exercise is necessary to keep everyone happy. Pediatricians also work to control infectious diseases by performing a quick diagnosis and effectively treating any illness. Lastly, pediatricians diagnose and treat chronic conditions often found in children and adolescents. They work to ease the difficulties associated with chronic diseases and educate patients and caregivers on how to effectively manage any issues that commonly come with chronic conditions. Anxiety, depression, behavioral issues, social stresses, developmental disorders, and functional problems are also something pediatricians can evaluate in their patients. Pediatricians have extensive knowledge of the stages of child development and use this knowledge to observe abnormalities in their patients. However, pediatricians will refer parents to a specialist if they observe these issues. They may not be qualified enough to properly diagnose and treat these issues in patients. Pediatric specialists do not work alone. They will commonly consult with other specialists to insure the best care possible for their patients. Some specialists they may consult with include pediatric cardiologists or even child psychologists. After medical school, future pediatricians will participate in a three year pediatric residency where they will learn all the aspects of pediatric care. After residency, a pediatric residency student may take the pediatric written exam and become certified by American Board of Pediatrics. Pediatric recertification is every seven years. There are many opportunities for pediatrician jobs in Florida. The state homes a population of over 19 million culturally diverse people in the many different areas and environments Florida has to offer. Florida’s largest cities include Miami, Orlando, Jacksonville, and Tallahassee. Also, white, sandy beaches are always easy to find, and Florida’s many national parks are a must see. There is plenty to do in Florida. Come and check out pediatrician jobs in Florida today! 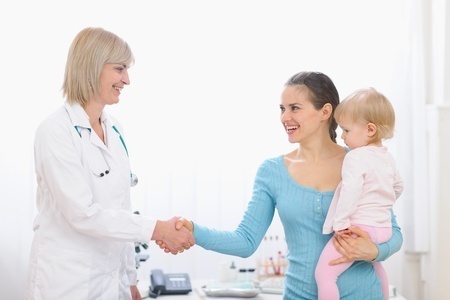 We at Doctor’s Choice Placement Services, Inc. have a database of Pediatric jobs in Florida. Our database is updated daily and available for use without registration. If you are a physician looking for employment in your field of speciality, we can help you find the job you are looking for. Come and check out all the services we have to offer. You will be glad you did! Doctor’s Choice Placement Services, Inc. is the place to be if you are looking to hire physicians. We have a list of specialists looking for pediatric jobs in Florida and will provide a search and placement service with no cost until the job is done. All you have to do is contact our Florida Pediatric Recruiters, go to our Florida Pediatric Employer page, or call us at (800) 510-0975. Contact us today!